The airshows at England's Imperial War Museum Duxford are a real treat. Why not plan to spend a day at an airshow? ...and any one of them would probably let you see antique airplanes you've never seen before. 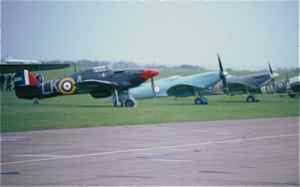 There are also some special events such as Spitfire Day and American Air Day. In June 2019, the D-Day Squadron will lead an American fleet of historic, restored C-47 World War II military aircraft in Daks Over Normandy. 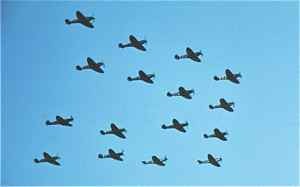 They will assemble in Duxford. Read more about that great event. 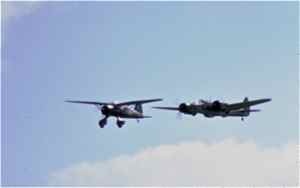 Their July show is called their Flying Legends Airshow.... Legends such as Mustangs, Hurricanes, and Oh yea... Spitfires. ...And had 16 of them fly by in formation during the airshow. For Americans, Duxford offers the opportunity to see planes like a Gloster Gladiator, a Hawker Hind, and a Hawker Nimrod II. Or what about the Junkers Ju-52, the Curtiss Hawk 75A-1, Hispano Aviacion Ha-1112-M1L Buchon (spanish version of BR109), and Yakovlev Yak-3UA. 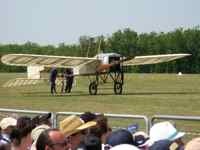 They have a home built Bleriot, and they always have Spits and Hurricanes. 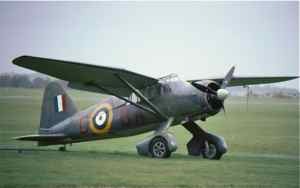 Years ago when we went, we got to see a Bristol Blenheim Bomber fly with a Westland Lysander. So what you see at any given show will depend on maintenance and restoration. 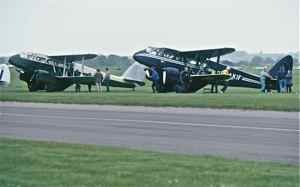 They had a couple of De Havilland Dragon Rapides, and at that time you could snag a ride in one of them, but we're not sure if that's an ongoing program. The museum collection is housed in several buildings that can be visited at any time of the year. The Airfield began its history during WW I. In WW II it served first as a RAF Fighter Station that was used as a sector station during the Battle of Britain. Later it was an American fighter base. Some of the original RAF buildings are still scattered around, and they provide part of the unique atmosphere of Duxford. In the 1960s, it was closed as an operational RAF station, and it was transformed through the efforts of many...evolving into what it is today.... One of the best air museums in England and the world. There are several hangars housing historic aircraft. The American Air Museum is a whole building dedicated to American fighters and bombers from WW II. The museum is open daily all year except for December 24, 25, 26. The museum is quite spread out, so be prepared for a lot of walking. There is food and drink available at the museum. On airshow days there is also the usual array of airshow food vendors as well as souvenir vendors of all the usual types. Their airshows are in spring, early summer, late summer and fall. Check their website for details. 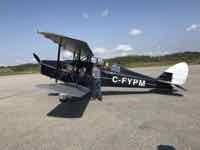 Here's their page on Airshows. Surf around for times and prices for airshows and for non-airshow days. You can book airshow tickets in advance on their web site. In the past they said, if you're going to book in advance, they will mail the tickets to you, so you must purchase 7-10 days in advance so there will be enough time to get them to you. Always check their website for the latest information. Of course, you can purchase tickets the day of the show. They take credit cards as well as cash as you enter the parking lot. Be prepared, ticket are expensive, but they are well worth it.... (£25 - 30 that's about $35 - 42 or € 33 - 45. Discounts for seniors over 60. Advance purchases save 10%.) At least parking is free! There are plenty of hotels and B&Bs within a 30 minute drive of Duxford. For most people, we wouldn't recommend that. Better to make reservations for at least the night before and the night of the airshow, that way you can enjoy yourself and not worry about where you're going to sleep. It's best to drive in. The airfield is about 50 miles (80 km) from London just off the M11 motorway. It is just about 10 miles (16 km) south of Cambridge. As with any big airshow, traffic will be directed to parking lots on airshow days. If you're not up for driving in England, you might be able to arrange or find a tour.